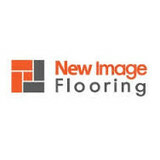 We are Edmonton's leader in flooring supplies. If you are renovating or building a new home, our experienced staff are passionate about helping you choose from some of the best high quality products available. 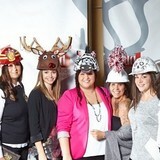 Check out our award winning showroom featuring hardwood, laminate, leather, cork, tile and carpet. Nearly 20 years ago, Lorraine Smith started The Flooring People on the simple principle that “consumers have a right to choose from the best possible flooring products at the best possible prices and have the best possible customer service while they’re at it”. Our customers also have a right to be heard by their flooring expert who will help them choose the products that are right for their home - both now and in the future - while enhancing their property value and quality of life. To that end, we recently updated our already extensive showroom and now offer a wide range of carefully chosen products we believe in and stand behind. Our showroom is an open, comfortable, and creative space where you can wander, see and touch the products. 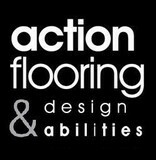 You can also speak with our flooring experts, each of them a design expert as well as an expert in the products we sell. They know these products inside and out and will help you understand how they’ll hold up to your lifestyle. They’ll also help you understand how the product will look in your home before you install it, so you can make the most informed decision possible. We our a family owned, flooring specialist business. We not only offer really valuable products but provide great quality one-on-one service. We customize service packages that is designed to meet all your flooring and home renovation needs. We are creative designers and have installers that are able to implement any custom design and any layout on floors or walls using materials of your choice for your unique and personal projects. What kinds of services do hardwood flooring installation professionals in Saint Albert, AB provide? 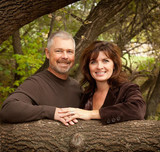 Find hardwood floor experts in Saint Albert, AB on Houzz. Search the Professionals section for Saint Albert, AB hardwood flooring installers and dealers or browse Saint Albert, AB photos of completed installations and look for the professional’s contact information.